There are many types of different types of dreams including Daydreams, Nightmares, Lucid Dreams, Recurring Dreams, Prophetic Dreams. What do they all mean? This section details facts and information together with a definition of all of the different types of dreams. Apart from ordinary dreams there are the main five types of dreams. What are ordinary dreams? Definition of ordinary dreams: Ordinary dreams tend to have two different types of meanings: a general meaning where the dream is told as a symbolic story and an individual meaning, which is specific to the dreamer. Ordinary dreams often mirror real life experiences but can also include fantasies. Ordinary dreams can link to actual experiences and sensations i.e. when a phone is ringing in reality the dreamer might hear this in their dream. Studies of dreams have found that about three quarters of dream content or emotions are negative. What are daydreams? Definition of Daydreams: A daydream is a visionary fantasy experienced whilst awake, the result of the brain mulling over important, but not immediately relevant, issues when their circumstances do not pose interesting and engaging problems. What are nightmares? Definition of nightmares: A nightmare is a terrifying or deeply upsetting dream of particular intensity causing strong feelings of fear, horror and distress. Nightmares are related either to physiological causes, such as a high fever, or to psychological ones, such as unusual trauma or stress in the dreamer's life. Nightmares can reflect the frightening elements from our imagination or stimulated by watching movies or television, reading books or even playing computer games. What are lucid dreams? Definition of Lucid dreams: A lucid dream, also known as a conscious dream, is where the dreamer becomes aware that they are dreaming while the dream is in progress. As a lucid dream continues the waking mind gains control. What are recurring dreams? Definition of recurring dreams: A recurring dream is a dream which is experienced repeatedly over a long period. 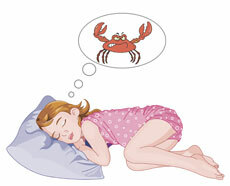 Up to 70% of females and 65% of males experience recurrent dreams. 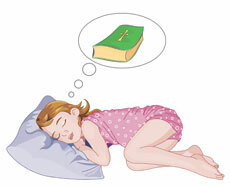 What are prophetic dreams? Definition of prophetic dreams: Prophetic dreams, also referred to as precognitive dreams, are dreams of events or incidents before they happen. A study showed that 42% of people felt they had had a dream about something that later came true.